We’re Coca-Cola and so much more! We are proud to work for a company that’s making a difference in our community. Here are some stories and photos of our colleagues doing what we do – spreading smiles and opening happiness every day. 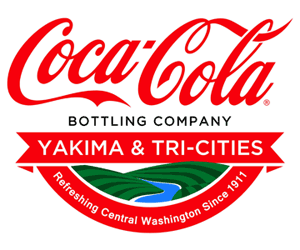 Coca-Cola Bottling Company of Yakima & Tri-Cities accepts requests for sponsorships and donations on the form provided below. All donations that meet our charitable guidelines, and further our strategic goals and objectives, will be considered for funding. Each year, we receive hundreds of proposals for a variety of initiatives, programs and events. We are focused on those initiatives that align with our overall community investment priorities. While we are pleased that there are so many volunteers and organizations working to make a difference in our communities, we are not always able to fund every request. Please complete the Charitable Request Form below for consideration.